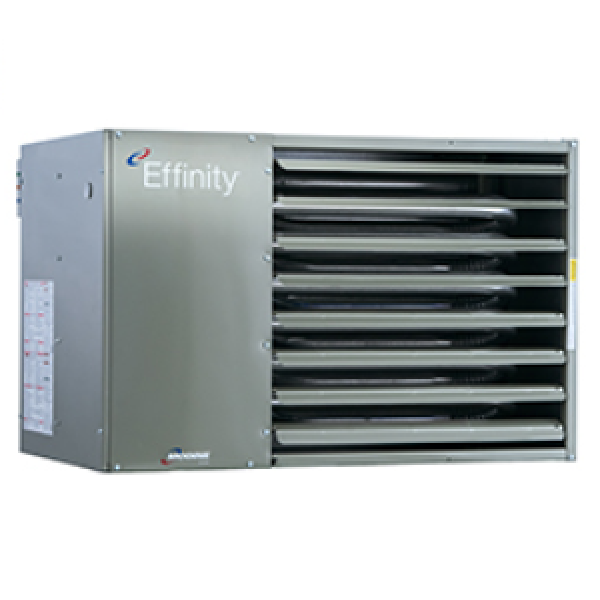 Modine PTC Effinity 93 series are high-efficiency (up to 93%) condensing unit heaters with sealed combustion design (draws 100% of combustion air from outside). PTC heaters offer an optimal combination of energy efficiency, low profile and powerful output, especially well suited for dusty or humid environments in residential and commercial settings, including garages, workshops, storage spaces and many others. NOTE: can be converted to propane gas using #66897 kit. Dimensions (D x W x H): 28.19" x 29.80" x 18.13"